With cooler weather here, many people turn to tanning beds to maintain their suntanned skinned. While tanning beds are very popular, they are not a guaranteed easy and risk-free way to a tan. 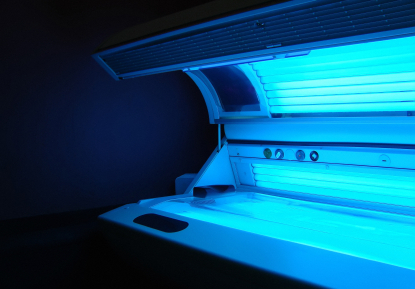 The ultraviolet lights can put you at risk of injuries such as burns and infections due to the irresponsible actions of salon employees or machine manufacturers. Heat-related injuries from broken timers — You may be tempted to sleep while you are tanning, but be sure to set your own timer on your cell phone or watch. If the timer on the bed is set for too long or malfunctions, you could get severe skin burns in a short amount of time. Eye damage from broken goggles — Be careful when you slip on goggles if you use the eye protection provided by the salon. If broken, the plastic edges can be sharp and could puncture an eye. Burns to your skin from high-temperature bulbs — Check with the salon workers to make sure they are using bulbs that meet current safety regulations. If you have been injured by tanning beds, you should contact the Oklahoma and Arkansas tanning bed lawyers at Carr & Carr Attorneys. Depending on the severity of your injury and other related factors, you may be entitled to receive financial compensation to pay for lost wages if you had to miss work, medical bills to pay for your treatment, and pain and suffering. Call 1-877-392-4878 today to talk with a product liability attorney about your issues, or email Carr & Carr. Additionally, many states have age regulations on tanning bed usage. For a list of state-by-state legislation related to tanning beds and minors, see the National Conference of State Legislatures.